In this doctoral research Per Roar introduces the concepts of docudancing and griefscape. 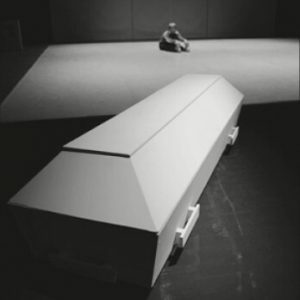 He explores here a contextual approach to choreography through making the trilogy Life & Death and probing into three different socio-political contexts of loss and grieving, all related to complicated grieving processes brought about by death and dying. They span from private and individual to communal experiences of loss and grieving: from the deeply personal loss of a close friend in an airplane crash, to memento mori and our mortality, and the traumatic legacy of the Bosnian War. In his artistic research strategy, Per Roar approached these socio-political contexts as an ethnographer by making use of ethnographic tools and fieldwork as integral parts of his enquiry. He describes and discusses what this strategy implied – also for his choreographic thinking and outlook, and hence, he questions the potentiality and agency of choreography in the encounter with a socio-political reality such as grieving. Per Roar works as an artist and researcher based in choreography. He holds degrees in choreography (BA) from the Oslo National Academy of the Arts and in Performance Studies (MA) from the New York University. His socio-political interest and contextually-based approach to choreography and artistic work and research draw on his background in history and social sciences (Cand. Mag) from the University of Oslo and the Karl Marx University (now: Corvinius) in Budapest and the Oxford University in Oxford.